Inner package is PP bag; Outer package is paper carton. 100% high quality silicon material, Eco-friendly, harmless, non-toxic, non-corrosiveness. We are welcome your inquiring anytime. After-sales service: We always offer fast and high quality after-sales service ! 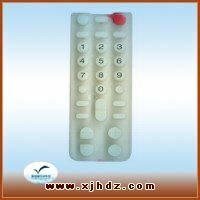 Our products :General keypad , remote control keypad , calculator keypads , game machine keypads ,numeric keypads ,alarm keypad,control panel keypad, epoxy coated keypad ,PU coating keypad ,laser etching keypad ,spray coating keypad,conductive silicone keypad,rubber keypad, rubber button , plastic keytop plus rubber keypads ,single key ,eletro plated key etc. If you have interesting in our item, pla feel free to contace us. 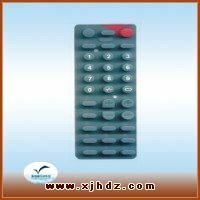 Xiamen Xinjiahao Electronic Technology Co., Ltd.